I’ve been on a major Moscow Mule kick lately, and have been trying different spins on the classic recipe (like an apple and vanilla vodka version that is amazing! ), testing new ginger beers (obsessed with Picketts Ginger Beer Syrup), and all around getting lots of use out of my favorite copper mugs. 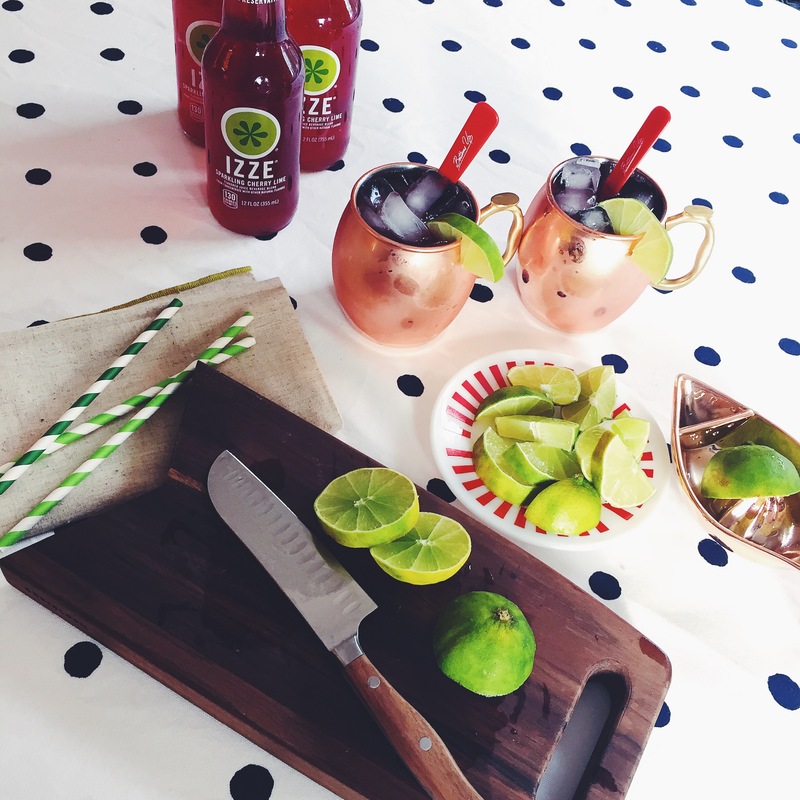 When I saw that IZZE had a sparkling cherry-lime flavor, inspiration struck for another variation. I mixed this one up with ginger syrup, fresh lime juice, and vodka. Full recipe below. 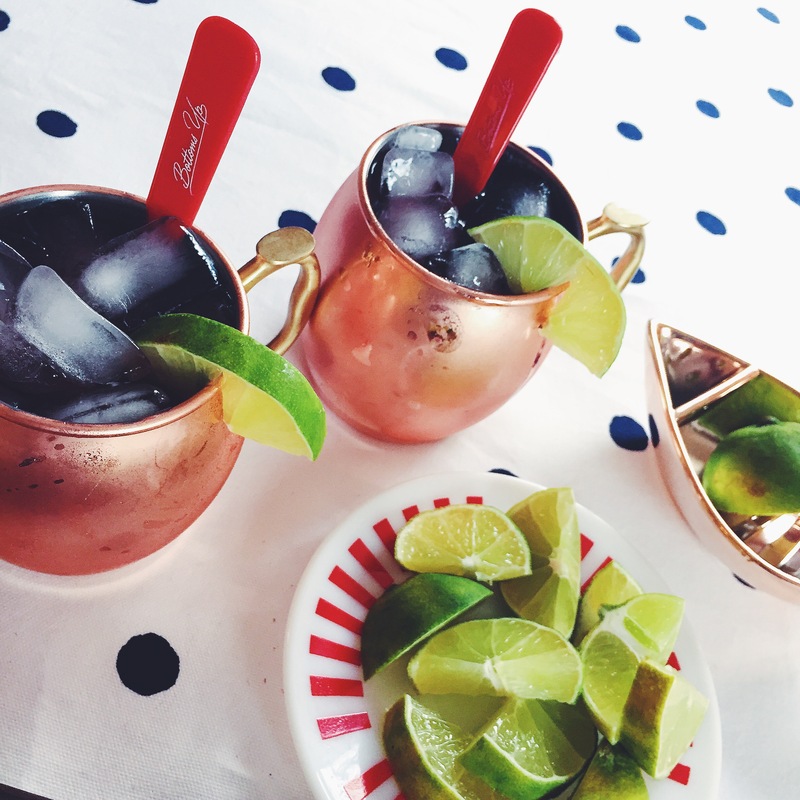 Fill copper mugs with ice and pour vodka, lime juice, and ginger syrup over the top. 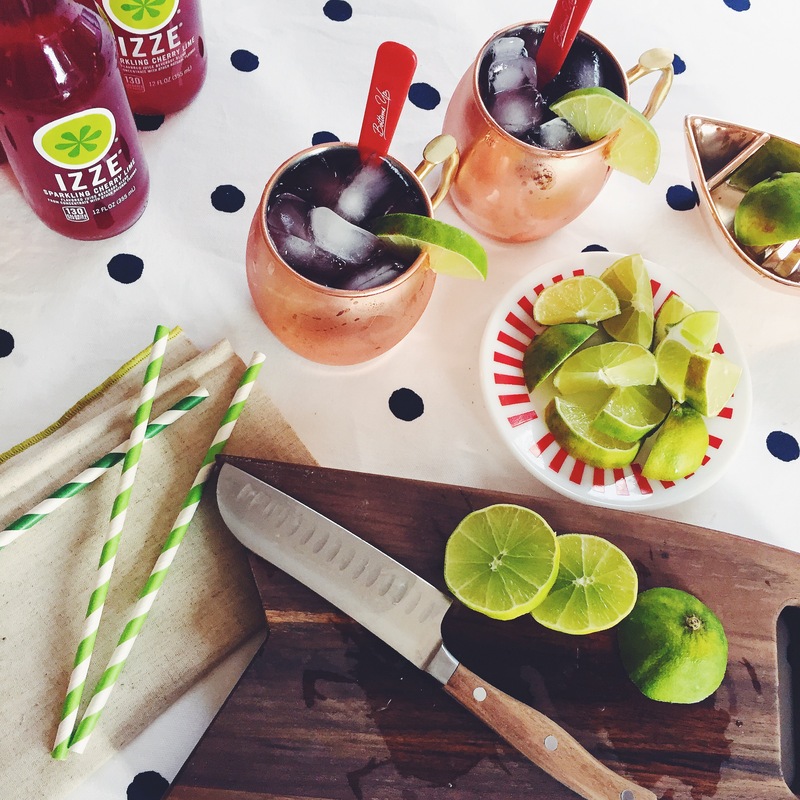 Top drink with Izze Sparkling Cherry Lime. Garnish with fresh lime wedges and serve! Christmas DIY Details. New Years Eve DIY Details. One Response to "Cherry-Lime Moscow Mule." This is Mitchell’s favorite drink! He’ll love this and I LOVE your copper mugs. The perfect addition to any bar cart!